Asset data and work schedule data is passed instantly between the project base in Clapton, East London, and the CCTV survey units out in the field, this is achieved by internet link, massively reducing the use of paper records and administration time. The Sewer Drainage Area Catchment (SDAC) project for Thames Water is looking at capturing a broad spectrum of information of their existing asset and network as well as sewers and drains that are now the responsibility of Thames Water as a result of the Private Sewer Transfer (PST) in November 2011. The project also captured previously unknown ExS24 and new S105a sewers. The project was set up from scratch by UKDN Waterflow’s Technical Services team in just four weeks and included opening up a new base and establishing a core team and setting up the complex hardware, Innovyze Infonet software for asset management, Infonet mobile as the data collection tool, and WinCan as the CCTV survey software. 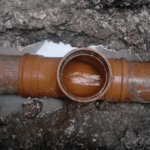 Initially 6 areas have been surveyed with 308,905 metres on known Thames Water pipes and an estimate of just over 200,000 metres to locate, survey and plot. The programme covers just over nine square miles of greater London. Apart from operational and team building and development, the project managers developed bespoke protocols, processes and reporting. The project will reduce the frequency of sewer blockages, internal and external property flooding, identify sewer collapses and potential pollution problems as well as mapping the network comprehensively for service and structural condition. Ultimately this will enable improvements in the hydraulic function of the waste water network within the SDAC area to be designed and planned, targeting cleaning and rehabilitation to improve customer outcomes and SIM scores. Developing a critical relationship with Optimise has been important to the success of the project. Optimise are the joint venture between J Murphy and Sons, Barhale Construction, Clancy Docwra Ltd and MWH, who are delivering the five year AMP5 contract for Thames Water. A genuine partnership has been established, utilising a shared platform and offices in Ilford. Raw data is collected onto a server, configured to meet the SDAC objectives, and the addition of digital records enable daily whereabouts and productivity reporting. Manhole surveys completed live on site are imported using Infonet Mobile, so internet connectivity is vital. Once raw data is imported nodes, pipes, flow directions, pipe sizes and shapes etc. 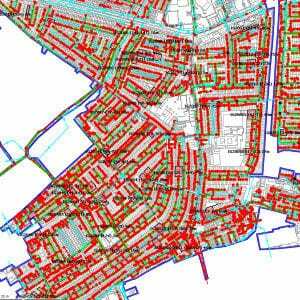 can be automatically generated from the manhole surveys. CCTV sewer survey data is received and snapped to their corresponding pipe lengths. Video files can be accessed at any time through survey query. Powerful tools and fully customisable SQL interface complete the kit to form a potent resource for managing and interrogating the survey data. UKDN Waterflow have, within the SDAC project, demonstrated that with the use of new technology and software the efficiency of large scale CCTV survey projects can be vastly improved, gathering and quickly analysing huge amounts of waste water network information that previously would have required a large number of skilled people and many months of work. We’ve already recorded information such as the amount of interceptor traps, network pipe score data and debris build-ups in the network that affect large areas of the network. It’s an exciting project that could set the new standard for drainage asset management in the industry.